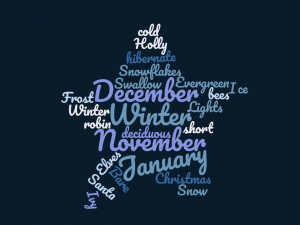 We have been learning all about Winter in first class. Today we made a word cloud to represent all that we have learned. We used blue to represent Winter.